SIAL Innovation interprets all the new food products and agri-food consumer trends worldwide in partnership with XTC World Innovation. The purpose of the SIAL exhibitions all over the world is to outline global food trends, assemble the stakeholders from the sector and organise these meetings under the sign of food innovation. Now the world standard of reference as trend forecaster and advisor for innovative products, SIAL invites top international experts to present the major food trends. In partnership with XTC World Innovation, SIAL Innovation provides visitors with an exceptional showcase of global food trends and innovations at each SIAL exhibition. 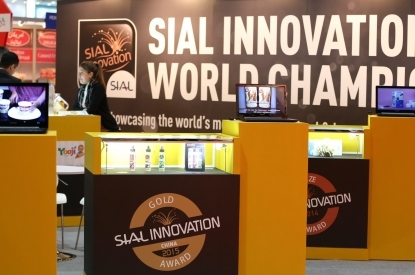 SIAL Innovation is an area entirely dedicated to the discovery of new products. 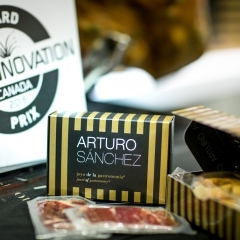 Innovation and agri-food professionals choose these from an advance presentation of products by the show’s exhibitors. After examination of the products selected, the Grand Jury chooses several Gold Awards. Exhibitors whose new products are granted an award will receive a trophy during the SIAL Innovation Gold Award Ceremony that takes place at every exhibition. SIAL Innovation is exclusively reserved for SIAL exhibitors. To increase the visibility of the SIAL Innovation Gold Awards Winners globally, a new concept has emerged: the World Champions Tour. Are you a Gold Award Winner? Be our guest at the next SIAL exhibition: we offer you the opportunity to exhibit your product for free beside the SIAL Innovation area.